Currently only US and Canada are listed as country options at the billing screen. Here's some info on how international members can purchase the digital carts from Cricut.com. And that's it. 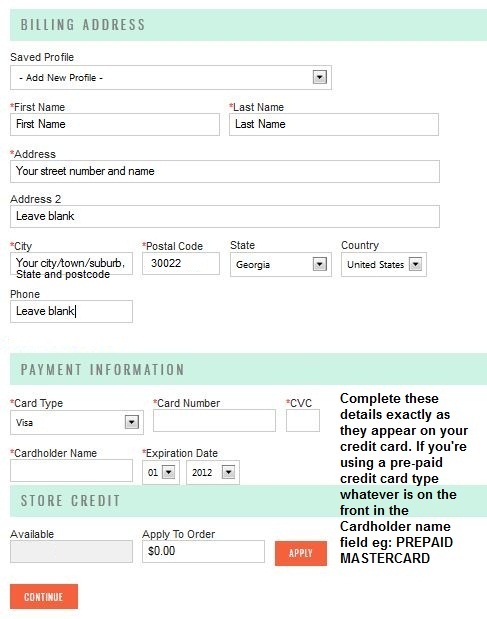 Your purchase should go through and you'll receive an email confirmation. Please note - depending on how your credit card is set up this may not work. Do not use Canada as the country. While your purchase will initially go through you will then receive another email stating that your money has been refunded and shortly after the cartridge will be removed from your CCR cartridge list. I purchased several items digitally and they were accessible through CCR for about 10 days before they rejected the Australian credit card and refunded the money to my card. The only card that has worked for me is a prepaid visa card my family that live in New York sent to me here in Australia. So be careful if you are using an Australian issued card. I haven't had that happen to me yet except for the time I selected Canada as the country. Do you know if this is still possible? I'm in Australia and just tried to make a digital purchase using your instructions above. My credit card has been charged but the cartridge is not showing up in Cricut Craft Room. Just saw the Libby. Did your digital cartridge ever show up?